Marriage exists for you and your spouse, but the two of you don't exist for the marriage. This might surprise you to know, but I’m not just the editor of Thriving Marriages. A big part of my life right now is writing about sexual abuse in the evangelical church, which means topics like today’s from Sheila at To Love, Honor, and Vacuum are close to my heart. I hope every woman and man reading this today understands: God cares more about the people IN a marriage than he does some legalistic adherence to the concept of marriage. If you are in an abusive relationship, get out immediately. God wants something so much better for you. One of the interesting phenomena I’ve encountered when blogging is that the angry men who leave “drive-by” comments quoting Bible verses about how women must obey and remain silent so rarely talk about Jesus. They take verses out of context from New Testament letters, or from the creation story, but they never reference what Jesus may say on the matter. Last week I talked about principles of interpreting the Bible: Scripture cannot contradict Scripture, but everything should tell one complete story. When you read something that’s jarring, then, you should ask, “what does the rest of Scripture tell us about this?” We did that last week with the Abraham and Sarah story, and Peter’s command that women emulate Sarah, who obeyed Abraham. Scripture was meant to point us to Jesus. It is Jesus who is the ultimate Word of God (John 1:1). He is the ultimate embodiment of God’s message to us. If you want to understand the full picture of God, we look to Jesus (Colossians 1:15-19). 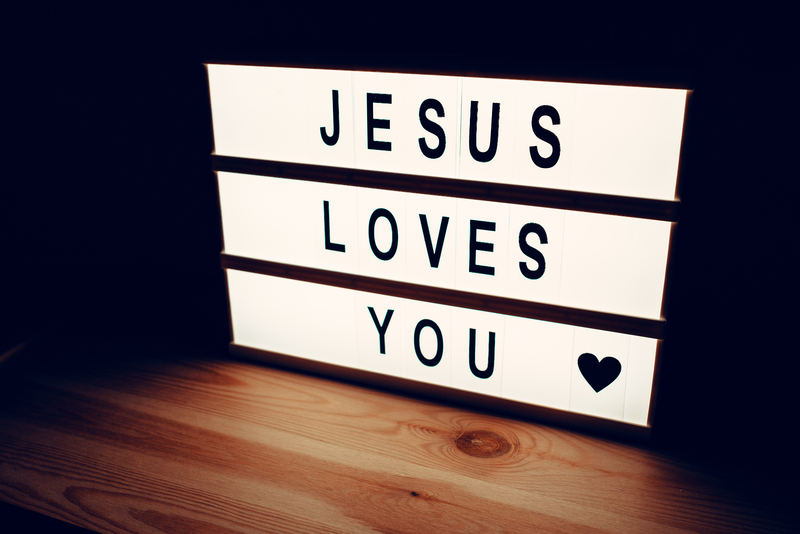 Jesus tells us how to interpret Scripture–and over and over again He said things like, “You have heard it said…But I tell you.” He is the ultimate authority. All Scripture must be interpreted through what we know about Jesus. And Jesus taught us two main things on this earth: How we are to treat other people, and how we are to understand our relationship with God. He modelled the perfect life for us, and it is He whom we should ultimately be following. Indeed, it is God’s desire that we be transformed into Jesus’ likeness (Romans 8:29). With that in mind, I’d like to look at an incident in Jesus’ life that we find in Luke 6:6-11. It’s not specifically about marriage, but bear with me, because I believe it’s a perfect parallel to what is going on right now. Let’s paint the picture for a moment. The Pharisees were devoted to faith and following God, as they knew Him to be. They loved the Law as it was revealed in the Torah. It was indistinguishable to them from God Himself. Following God meant following the Law, and following the Law meant following God. And it was written that one mustn’t work on the Sabbath. That meant, therefore, that in order to bring God’s favour, no one must work. This was what God wanted; this was what made God happy. It infuriated the Pharisees that Jesus did not appear to love the Law as they did. It infuriated the Pharisees that Jesus talked as if He actually knew God, and had a relationship with Him. That wasn’t that way God revealed Himself! Jesus, in essence, was being “liberal”. He was all touchy feely, and He was abandoning the rock of Scripture. He was abandoning God’s Word. Which is lawful on the Sabbath: to do good or to do evil, to save life or to destroy it? I’m not sure the Pharisees even understood the question, because they would never have framed the debate that way. To them, they were indeed saving life by preserving the Law! The only way we stay in right standing with God is to obey the Torah. Therefore, the letter of the Law becomes the ultimate good. Jesus turned all that on its head. Jesus showed that what the Pharisees were doing was actually destroying life. You see, the dichotomy here was not “should Jesus heal or should he not heal”? The dichotomy was living solely according to the Law at the expense of people, or helping people at the expense of the Law. Jesus was saving life; and He was insinuating that the Pharisees were destroying it by forcing people to obey rules. But hold on a second–weren’t those rules set up by God? Well, yes. But there’s something deeper (as Aslan would say in the Lion, the Witch, and the Wardrobe, there’s a Deeper Magic). In other words, God gave us the Sabbath to bless us. God wants to bless humanity! Our well-being matters to God. It is not blind obedience that God wants regardless of consequences; He put everything in place for our own good. In and of itself, rules are meant to point us to Jesus. Normally, taking a day to worship God and forget about our work enhances our well-being. But when it becomes about the rule, then we forget about God. We don’t understand who God is or why He made the Sabbath to begin with. After this episode, the Pharisees were furious with Jesus. This moment in Jesus’ ministry was the moment that they first started plotting to kill Him. I don’t think they were furious because He healed; I think they were furious because He was threatening everything they believed about Scripture. They felt He was leading people away from God. They were righteously indignant. The only problem? They totally misunderstood God. This, I believe, is what is happening with regards to marriage today. Today, there are women in hurting marriages, who are being emotionally, physically, and sexually abused, who are being told, “you are to submit to your husband in everything.” They are being told that to speak up is sin, because women are to be silent. They are being told that it is God’s will that men rule over women, and so to try to assert your rights is to usurp men’s authority and go against the will of God. You don’t matter; only your husband’s will does, because you are to follow your husband. Too many Christian leaders are taking verses out of context, ignoring the character of God and the words of Jesus, in order to maintain a religion that is built on a certain kind of power and that shows no grace at all. And there are men in hurting marriages, whose wives refuse intimacy, whose wives are emotionally abusive, whose wives are even physically abusive. And if they try to get help, or try to say, “I’m drowning here!”, they are told, “God hates divorce.” Too many Christian leaders believe that what pleases God is maintaining the rule, not glorifying God in your relationship. In fact, their definition of glorifying God in your relationship is to save the relationship at all costs, even if it hurts you or enables sin. When I speak up about how Jesus’ greatest desire is for us to look like Him, and how marriage should not be used to enable sin, people become furious with me. I have been told that I am exciting itchy ears, that I am being a tool of the devil, that I am in league with Satan simply by saying that to Jesus, God’s will matters more than a husband’s will. Marriage should not be used to enable sin. God’s will matters more than a husband’s will. I believe the problem is that we have placed a certain view of marriage–where it is absolutely permanent, with the husband exercising his will over the wife–ahead of the gospel. By saying that, though, I am going against everything that they believe in. They have clung to certain verses (and ignored the heart of God and the rest of Scripture), and believe that I am leading people astray, just like the Pharisees believed about the Sabbath. Their fury is real, but it is misplaced. So let’s get back to Jesus’ heart: Marriage was made for us, not us for marriage. And in marriage, God wants to be glorified. He is not glorified by sin. He is not glorified by abuse. He is not glorified by two people drifting away from Him because the husband won’t “lead” and the wife is waiting for him to. He is glorified when we step up and do the hard things–when we “act justly, love mercy, and walk humbly with our God.” (Micah 6:8). And when we do those right things–when we start acting appropriately and setting boundaries–THAT is often when dying marriages are turned around. When people suddenly face the consequences of their actions (when they reap what they sow), then people often realize the need for change. Don’t miss the point of Scripture. Jesus is the Word of God. If your view of marriage has absolutely nothing to do with how Jesus acted here on earth, then your view of marriage is seriously off-base. And it amazes me how, when I try to engage these people in the comments, none of them ever has anything to say about Jesus. They quote other parts of Scripture, but ignore Jesus altogether. So let me ask with Jesus–what is lawful with marriage, to do good or to do evil, to save life or to destroy it? If your view of marriage ends up destroying people, then your view of marriage contradicts the ultimate Word of God–Jesus Himself.